One day that could change every other! Join the exciting new industry that is taking over the nation! The Joint is proud to offer over 30 years of combined industry expertise from its franchisor team! 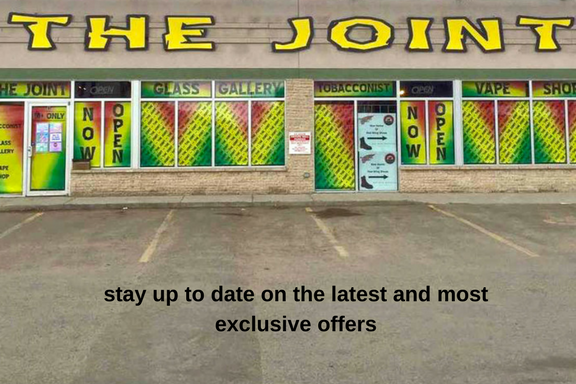 We boast the largest selection of smoking accessories across Canada! A formula proven for success! Your success is our primary focus! Apply to open a Joint franchise today and one of our team members will get in touch with you shortly after. Please fill out the form below…. Please describe what makes you an ideal franchise partner for us based on your previous business experience.